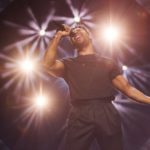 Six more Eurovision 2019 national selection shows to take place today! This evening we will see 5 final shows and one semi final one. Finland will be selecting its entry throught UKM2019 national final, while Iceland, Portugal and Moldova are holding theirt national final. Melodifestivalen continues with its last semi final round of “Second Chance”. Let go and see all the shows’ details. Tonight, Norway will be selection is Eurovision 2019 act through Melodi Grand Prix. The show is set to take place at the Oslo Spektrum and will be presented to us by Heidi Ruud Ellingsen and Kåre Magnus Bergh. The final will be determined in three rounds of voting. During the first round ten national juries and the public (50%-50%) will determine which 4 acts pass to the next stage of the final. . Following the first eliminations, the 4 candidates will split up in two duels, from which the act with the most votes qualify to the final round. The two remaining acts will go through a new voting which will be the one to determined the next Norwegian representativw. The finnish national final , Uuden Musiikin Kilpailu (UMK), is set to take pleace tonight at the Cultural Center of Logomo in the city of Turku, θα είναι η εκπρόσωπος της χώρας το 2013 Krista Siegfrids, ο ηθοποιός Christoffer Strandberg και ο παρουσιαστής Mikko Silvennoine. 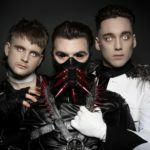 As last year, the country Eurovision 2019 act was selected internally. DJ Darude was assigned to represent Norway in Tel Aviv. This evening there candidate songs will be performed by Sebastian Rejman. The entry with the most votes from the public and jury will be the one to fly the flag in Tel Aviv next May. The final will begin at 19:00 CET and you can watch it HERE. 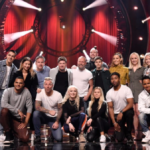 After two semi final rounds and a total of 10 acts participating in this year’s national selection, Söngvakeppnin, 5 acts will compete in th final show to win the right to represent Iceland in Eurovision 2019. Friðrik Ómar – Hvað ef ég get ekki elskað? Among the candidates we meet some familiar faces to the Eurovision family, such as Friðrik Ómar who as member of the group Euroband participated in Eurovision 2008 with the entry This is my life which came 14th. Additionally we see once again Hera Björk who represented the country in Eurovision 2010 with her entry Je ne sais quoi which finished in the 19th placing of the final. The winner will be determined in two rounds of voting. In the first set of votes , public and audience will decide which two acts qualify to a Superfinal round. In the second round of voting only the public will vote for the country’s Eurovision representative. The previous two weeks we watched a total of 8 acts qualify from the two semi final rounds of Festival da Cançao 2019. Today the 8 qualifiers will give the final battle for the golden ticket to Tel Aviv. The show will be held at Portimão Arena in Portimão, and will be hosted by Filomena Cautela ( Eurovision 2018 hostess) and Vasco Palmeirim. Moldova’s national final O Melodie Pentru Europa is set to take place this evening. Following the auditions that took place for the 28 submissions at the Moldovian national broadcaster, a special jury panel awarded 0 to 12 points and concluded in the finalists of show. The outcome will be determined by jury and public voting. Once last week’s 4th semi final was completed, the Second Chance semi final’s line up was completed . A total of 8 contestants will be having a second chance to qualify to the final show that is set to take place on March 9 in Stockholm. The 2nd chance semi final will take place next Saturday and the 8 acts will compete in duels . The winner of each duel will qualify to the final, determining the last 4 spots of the final. The “Andra Chansen” show is set to take place at Rosvalla Nyköping Eventcenter in Nyköping, while one again hosts of the show will be Marika Carlsson, Eric Saade, Kodjo Akolor and Sara Dawn Finer.